It’s a beautiful church that’s been converted into a very popular bar & restaurant in the West End. 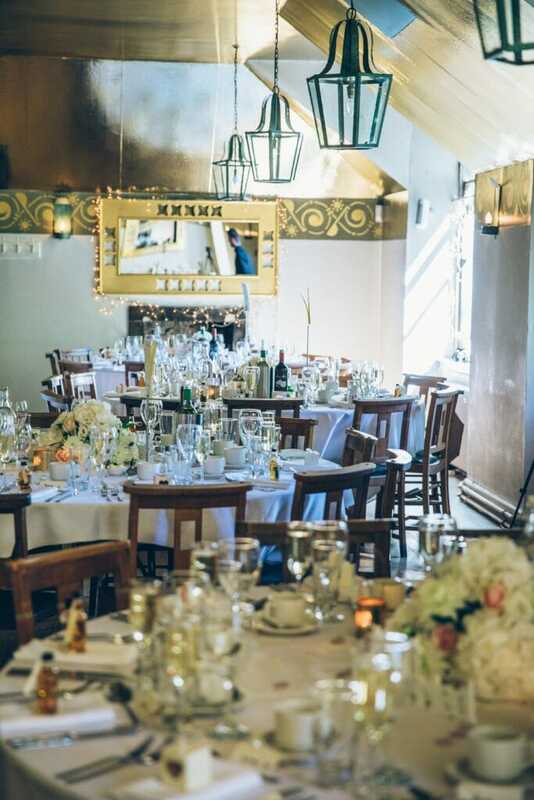 It makes for a great hip, alternative wedding venue within the locality of the West End. It’s easy to get to, with accommodation near by and great transport links located in Partick. 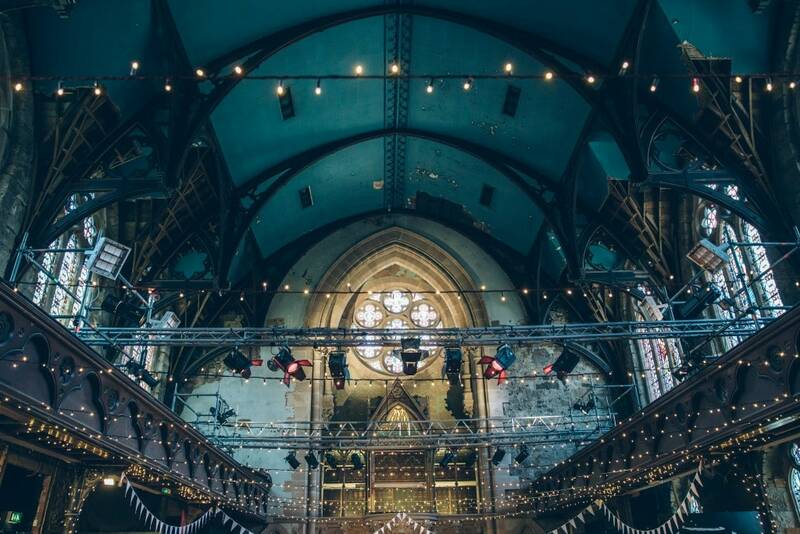 Cottiers makes a perfect venue for those who want something unique, with a relaxed vibe for a fun wedding with friends and family. It can be beautifully decorated easily with small touches of flowers, mason jars or other bits and pieces. The furniture suits the venue and weddings so well, without the need of chair covers or ribbon sashes upstairs for the meal. The chairs and tables in the theatre however will require these. The intimate room upstairs makes a great space for your evening meal. All of yours guests are close by within earshot, without the feeling of empty with low romantic lighting and beautiful golden tones. For photographs, the stairs outside around the side is quite iconic for the venue. 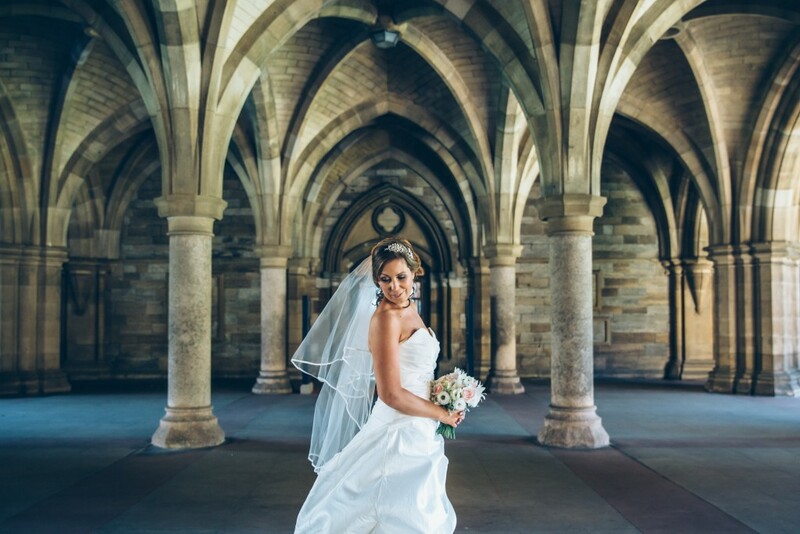 A popular choice for the intimate photos is Kelvingrove park, a wander around the streets of the West End or a short trip to Glasgow University Cloisters. If time is tight but weather’s good, you can get decent photos on site at the venue. However, it’s always recommended if you want creative “Glasgow” photos to go somewhere providing you have enough time between ceremony and meal. If you have any questions about the venue, whether or not I’m your photographer – I’d be happy to help!